Mag. Dr.rer.nat. Julia Katharina Thalmann - Thalmann, Julia Katharina, Mag. Dr.rer.nat. 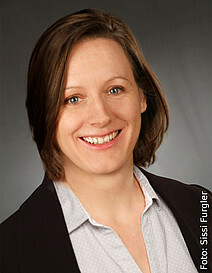 Julia K. Thalmann is a solar physicist at the Institute of Physics of the University of Graz. She is expert in the modeling of the structure and complexity of the magnetic field in the outer solar atmosphere. Her main research interest is on the physical processes involved in solar eruptive events. Of particular interest are the local magnetic processes governing flare activity, as well their impact on the large-scale (global) magnetic environment, including their possible influence on near-Earth Space Weather. Julia K. Thalmann got awarded with the highly prestigious Arne Richter Award for Outstanding Early Career Scientists during the European Geosciences Union (EGU) General Assembly 2017, for recognizing her contribution within the solar-terrestrial physics division. She also received the prestigious Alexander Chizhevsky medal for Space Weather and Space Climate during the European Space Weather Week (ESWW) 2016, for her major contributions in the field of space weather research.